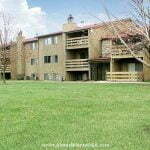 Come and enjoy this beautiful apartment community in an Almost Home Cedar Rapids furnished apartment. The many features of this quiet community include valet dry . . .
At this lovely apartment community, Almost Home offers Cedar Rapids corporate housing in spacious 1, 2 and 3 bedroom apartment homes. These apartments have washer . . . Almost Home Cedar Rapids temporary housing offers spacious apartments with large windows with blinds and large closets. This great property is conveniently located close to . . .
We serve the entire Cedar Rapids area including Hiawatha, Marion, Mt. Vernon, Springville, Palo, Atkins, Walford. Cedar Rapids is home to one of the largest industries in the country. It is the capital of the corn processing industry. In addition to corn processing, there are also manufacturing companies, electronic and defense companies that form the economic base of Cedar Rapid’s population of 120,000. Current unemployment stands at 5.1%, well below the national average of 7.3%. The climate in Cedar Rapids is humid in the summer with precipitation during the entire year. Temperatures hit their peak in July and fall to their lows in January. 40% of the year is spent in comfortable weather where it is neither cold nor hot. Dress comfortable here and carry a sweater with you during the months of March and April, then again in September and October. The weather gets cooler and stays that way for most of the time between November and April. Bring warmer clothing and wear a light jacket. If this is your first time in Cedar Rapids, you will want to rent a well-furnished Almost Home Cedar Rapids corporate apartment. This will give you time to check out the local scene and get the basics out of the way. For that purpose, we've listed a few restaurants you may want to try where the food and drinks are great. Once you know where you are going to eat, you will need to get familiar with the city. For that we’ve provided a list of places you can visit and things you can do as well. There is no shortage of great places to eat in Cedar Rapids. Everything from local American fare to International cuisine from the Far East and south of the equator are well represented. Depending on where your corporate housing in Cedar Rapids is, there may be food within walking distance, but regardless, you will be able to find something pretty close to where you are. Texas Roadhouse : There two things that shine at this Texas Roadhouse. First, the hand-cut steaks that are simply awesome. The second, the wide array of cocktails and drinks, from the Jamaican Cowboy to the Armadillo Punch. The Ribs are also amazing. If you want ribs that fall right off the bones, this is where you are going to get them. The ribs are marinated then slow cooked to perfection with a blend of seasoning and sauce. Country dinners are great too. There are grilled pork chops, Country Fried Sirloin and Sirloin Beef Tips. Biaggi's Ristorante Italiano: This Italian restaurant focuses on giving you the best dining experience. To that end they have made everything as perfect as possible by creating an environment that is inviting and appetizing. The food is masterfully prepared and artistically presented. The traditional Tuscan minestrone soup is fabulous, as is the Messina Salad and the Chicken Cobb Milano. As for pizzas, they are all fantastic, especially the Chicken Picante. The Lasagna Bolognese is heaven in a bowl and the Capellini di Mare is sublime. Also, try the Garlic Shrimp Oreganata. White Star: This is an all-American restaurant with a contemporary menu served with American beer and spirits. The beer here includes bottles by Summit, Blue Moon and Rogue, just to name a few and the wines include Wycliff and Louis M Martini. As for food, the Fried Calamari goes well with beer and the Lobster Sherry Bisque is impressive. If you want a zing, try the G-Dubya's Texas Chili that has loads of buffalo meat. The specialties are the Star Beef Tenderloin Skewers and Meatloaf. Gramma's Pot Roast is also an amazing choice. As for seafood, try the Baked Sockeye Salmon. Sushi House: Sushi House offers a combination of fine dining and Asian food, serving Chinese and Japanese favorites. There is a wide variety to choose from and the flavors are always spot on. The meats are cooked exactly how you like them and the menu includes sushi and sashimi choices that are fabulous. The secret behind the great taste and flavor in this restaurant is the fact that they use the freshest ingredients, always a necessity for good sushi. The chefs are highly trained in the preparation of both Chinese and Japanese cuisine. HuHot Mongolian Grill: This place is amazing! The first step when you arrive is to choose from a selection of meats and vegetables. Then you choose the sauces that go with them. You can increase the heat according to the heat rating they have listed. They do have recipes that you can follow or you can make your own. It’s always a great time when you visit this place. Here are a few things to do while you're here. Cedar Rapids is a fairly organized town, so wherever your furnished apartment in Cedar Rapids is located, it won't be too tough to get around. Museums: There are a few museums that will get you started in terms of understanding this magnificent city. The first one is the Cedar Rapids Museum of Art. Make sure you spend at least half a day here. Then there's the National Czech & Slovak Museum & Libraryand the Carl & Mary Koehler History Center. The Science Center is most certainly worth a visit. Performing Arts: The quality of the performing arts here are in a class of its own. The sheer brilliance of the performances are more than many expect. Visit the Gallagher-Bluedorn Performing Arts Center as well as Theater Cedar Rapids and The Paramount Theater. Mall: There is one mall in Cedar Rapids, the Lindale Mall, near the Science Center. It is your typical mall with anchors such as Sears, Yonkers and Von Maur. The mall also has a food court as well jewelry, apparel, tech stores and other conveniences. If you need to find things in JCPenney or Dillards, there is a larger mall, the Coral Ridge Mall, not too far away, in Iowa City, which is about a twenty minute drive south on Highway 218. Golf: Cedar Rapids and the surrounding plains form some of the prettiest landscape in the Central Plains. Depending on the course you chose there may be a need to become a member, which would be worthwhile if you are staying in your Cedar Rapids temporary housing for some time. The Jones Golf Course is a great place to play, so are Ellis Golf Course, Twin Pines and the Airport National Public Course. There is also the Edwin Watts Golf Course, and the St Andrews Golf Club, The Elmcrest Country Club and the Meadow Ridge Driving Range for when you just want to hit a bucket of balls. Our beautiful Cedar Rapids furnished apartments and homes are among the best corporate housing in the Cedar Rapids area. With our caring and attentive staff, you will be offered relocation choices to suit your needs and be able to select your perfect short-term or long-term accommodations. Submit your request to have photos and a quote emailed to you. Comfort and an almost home feeling are our goals in providing the best temporary or extended stay housing for your budget. We customize our Cedar Rapids apartments with a corporate housing package to fit your special requests. Would you like a home office instead of a second bedroom? Do you need a washer or dryer in the apartment or a fitness facility on the community premises? Explain your requests to our caring housing specialists and they will create a perfect, customized package for your extended stay or temporary housing need. Ask about our many locations offering vacation homes, apartments, and condos. 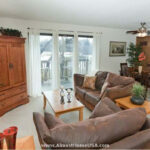 Our Cedar Rapids furnished homes rent for 30 days or more (depending on property availability). Whether your desired location is in the suburbs or downtown Cedar Rapids, we offer corporate housing to fit every budget or luxury. Almost Home offers the same features and amenities that can be found in a resort hotel...plus many more. If you are on an extended stay in Cedar Rapids, or if you are relocating there with the intention of purchasing a home, then you will find that there are many reasons to live in corporate housing instead of staying in a hotel room. If you are seeking employment in Cedar Rapids, then a furnished apartment is the best place from which to start out. 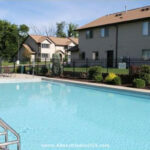 Corporate housing offers a short term lease, a private mailbox, and a local address.